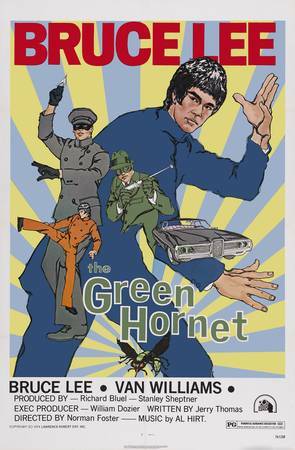 Secret Sanctum of Captain Video: Captain's Theatre THE GREEN HORNET "Ray is for Killing"
Captain's Theatre THE GREEN HORNET "Ray is for Killing"
The Green Hornet and Kato face art thieves armed...with a laser rifle? Except for the two-part series finale, "Invasion from Outer Space", this was the most scifi-oriented episode of the series. No super-weapons (except The Hornet's arsenal, of course). We don't know who built the laser. These guys certainly didn't have the scientific background to do so. Was there a mad scientist running around the city? Why didn't The Hornet take the laser and incorporate it into his weaponry? 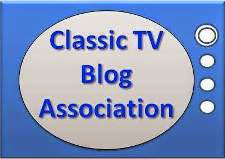 As it is, leaving it for the police left open the possibility that they could adapt it and use it against him and Kato! The laser itself is shown to be powered by simply plugging it into an electrical outlet! It also conveniently fits into a suitcase. There's location shooting in the Los Angeles storm drain system, both inside the tunnels (where the Black Beauty's green headlights really glow with an eerie effect unseen any other time in the series), and outside using some of the same viaducts seen in Terminator 2 and THEM! From November 11, 1966..."The Ray is for Killing"! 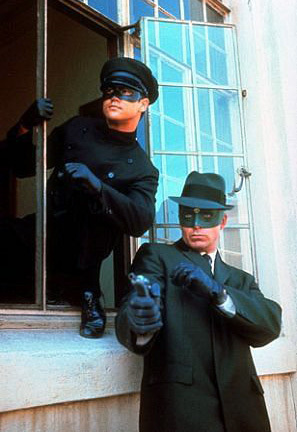 The most-famous Green Hornet episode of all!